Greater Raleigh Beer Month is right around the corner. So, how can you prepare? Start tasting! Greater Raleigh breweries are brewing some delicious brown ales, which are typically sweet with a dark amber or brown color. I encourage you to visit one of the following breweries to sample a local N.C. brown ale. One of the oldest breweries in Greater Raleigh, Carolina Brewing Company has a classic brown ale available on draft and in bottles. The Carolina Nut Brown Ale has been in production for the last 18 years and is the second beer Carolina Brewing Company ever made. This beer is a medium bodied, dark brown ale with a complex chocolaty, toasted malt taste. The word "nut" in the name implies a dry, nut-like taste that makes it distinct from some of the sweeter brown ales. Carolina Brewing Company uses five different types of malted barley to give the beer its color and variety of malt flavors. 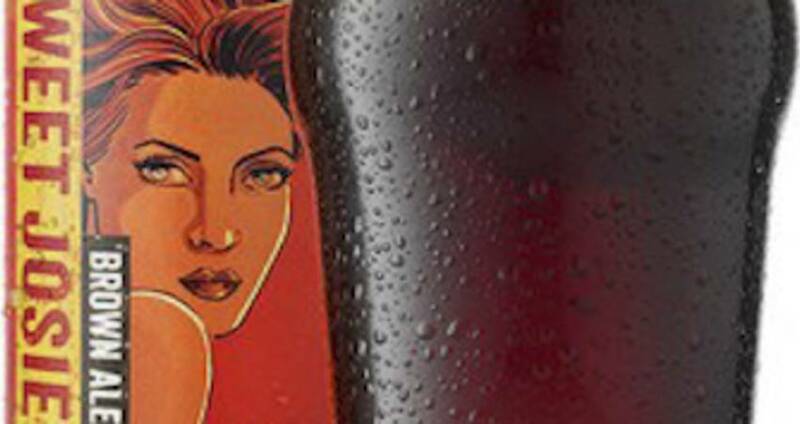 Lonerider Brewing Company&apos;s Sweet Josie is "as strong-willed as she is seductive." This American brown ale is a complex beer balancing a nice hop bitterness with a generous amount of chocolate and aromatic malts. Sweet Josie is also a Great American Beer Festival gold medal-winning brown ale. Only a few miles down the road from Lonerider Brewing Company, you&apos;ll find Lynwood Brewing Concern. Their Bad Leroy is an English brown ale with sweet malt aromas of caramel and toffee with nutty and toasty notes. Bad Leroy has a medium-dry finish with a moderate hop bitterness. Grab a Bad Leroy and enjoy some delicious food from Lynwood Grill, too. Crank Arm Brewing, located in downtown Raleigh&apos;s Warehouse District is brewing the Icycle Belgian brown ale. This brew is a medium-bodied, low-hop character ale with added ginger, orange zest and cardamom. Aviator Brewing Company&apos;s BoneHead India Brown is another great option. This hoppy brown ale is brewed with Columbus, Chinook, Amarillo Gold and Cascade hops is a "punch in the face with hops," along with generous amounts of chocolate malt. Perhaps one of the most iconic brown ales in Greater Raleigh is Big Boss Brewing Company&apos;s Bad Penny. This English brown ale has been a Raleigh classic since it’s introduction in 2006. In 2006, folks told Big Boss that a brown ale would not sell in the South or in the summer time. The head brewer pushed for it and now Bad Penny is received as Big Boss&apos; flagship brand. Natty Greene&apos;s Pub & Brewing in the heart of Glenwood Ave. is serving up their Old Town Brown Ale. Brown ales tend to emphasize maltiness over hoppiness, and Old Town is a beer that&apos;s driven by its malt character. This beer is the only filtered brown ale produced in N.C. and this technique brings the complex malt flavors forward. Notes of sweet toasted malt and baker’s chocolate define the flavor of Old Town Brown. Smooth and easygoing, it&apos;s a great beer to settle in with at the end of the day.